Based in Dublin, Paddy Power was started back in 1988. However, it is not until 2000 that it entered into the online casino business. Over the years, the casino has built a reputation for being one of the most trusted brands not only in Ireland, and the UK, but also throughout the world. The casino is really big on giving its players a great experience. It provides them with a variety of games like slots, card games, table games, video poker and live dealer games to ensure that they not only have a good time but also have different options of making bet and money. Every casino player out there will relish the chance of winning an online casino progressive jackpot. 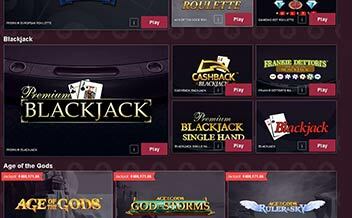 To keep up with this demand, the casino provides its players with a number of Playtech’s progressive casino jackpots. Some of these jackpots include games such as Gladiator, Gold Rally, Funky Fruits, Beach Life and Cat in Vegas. These progressive jackpots are popular because in most cases the prize money reaches millions. Online slots games have become very popular over the last few years. 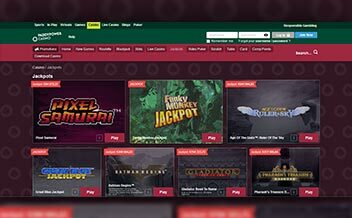 Paddy Power Casino has made sure that it is not left behind by providing its players with a collection of over 130 slots to choose from. Most online casino slots games provided by this casino have special features like scatter symbols, multipliers, bonus rounds and stacked wild cards. These features improve on chances for winning big, in addition to providing an exciting and thrilling gameplay experience for the casino’s player. Some of the popular slots the casino offers are Cat in Vegas, Gladiator, Gold Rally, Beach Life and Funky Fruits. It also offers a number of Marvel-themed slots such as X-Men, Daredevil, Captain America, Wolverine, and Blade. There are a variety of table games that Paddy Power Casino offers its player. Some of these are Blackjack, Casino Hold’em, Roulette, Baccarat and many others. The casino does not stop there; they also provide different variations of the common table games. For example, there are two variations of Baccarat for players to choose from – one of these variants is a progressive jackpot. Paddy Power Casino has made sure that online video poker game players have not been left behind. The casino has a variety of popular casino video poker games such as Megajacks, Jacks or Better, Aces and Faces, Tens or Better, Deuces Wild, Joker Poker and Pick ‘em Poker. Live dealer games provide the player with the real casino experience in the comfort of their homes. For most players, live dealer games provide a great thrill. Some of the live dealer games provided by this casino are Roulette, Casino Hold ‘em poker, Blackjack, and Baccarat. One of the unique things about bonuses on this casino is that they are given out in 3 stages. When a player registers for the site, they receive 100% of their initial deposit as a bonus up to £200. The second deposit receives 50% bonus up to £100. These bonuses have a wagering requirement of at least x20. Deposit payments made through Neteller and Skrill are not eligible for any bonus. Also, the bonuses are only valid to Ireland and UK residents, no promo code. Paddy Power Casino understands the need for player bonuses, promotions, and tournaments. It continuously provides its players with these necessary incentives to make playing using the casino an exciting experience. All casino players that want to make money should have up to date information regarding current promotions and bonuses that the casino runs. This section is dedicated to providing casino players with all the latest information on Paddy Power Casino promotions and bonuses. Keep coming back to this section get the latest news. The majority of the games provided by the casino are powered by Playtech. There are over 130 Playtech slots available for players. Most of the slots available are modern with high definition graphics that completely revolutionize the gameplay experience of online casino games. There are also classic slot games for online casino players that have “old souls”. There are also games that stand out and are easy to notice, e.g. Marvel-themed online slots like X-men and others. The progressive jackpots offered by casino at times reach millions and most of them are won at least once in a year. The characters in the video slot games provided by the casino easily get the attention of the player, and adding the excellent audio tracks provides the players with an immersive experience. At Paddy Power Casino, Roulette and Blackjack are placed in their own separate categories. There is also a selection of other table and card games. Different variations of these games are also available to players. Paddy Power’s Live Casino allows players to play different card and table games that have live dealers. Other online casino game providers include companies such as Amaya, CryptoLogic, Evolution Gaming and IGT. Like many major online casinos, Paddy Power provides multiple ways for its users to deposit and withdraw funds. Payments methods that can be used for both depositing and withdrawing funds are a bank account, Visa Electron, Maestro, Switch, Entropay, Neteller, PayPal, Skrill, and Ukash. Checks and PaySafe can only be used to fund player accounts on the casino. The list of restricted countries includes American Samoa, Australia, Barbados, Bahamas, Belarus, Belgium, Belize, Canada, Benin, China, Congo, Cyprus, Cuba, Denmark, Estonia, France, Guam, Germany Guinea-Bissau, Iran, Israel, Iraq, Italy, Marshall Islands, Libya, Mexico, Micronesia, Myanmar, Nigeria, Netherlands, North Korea, Pakistan, Palestine, Serbia, Puerto Rico, Spain, Syria, Tunisia Tanzania, Turkey, United States, Turkmenistan, Vatican City and Zimbabwe. Paddy Power Casino only supports two currencies, The Euro and Sterling Pound. With the advancements in technology, online casino players are able to access their accounts, and play, from different devices. Paddy Power has made sure that they have a version of the casino available for mobile devices. Supported mobile devices are tablets, BlackBerries, iPhones, Android phones. It does not matter whether you are using an Android or iOS mobile device, you simply download the casino’s application from your app store and, Voila! You get to enjoy playing your favorite casino games right on your phone. The casino software is also available for desktop and personal computers that use Android, Windows, or Mac OS operating systems. Apart from the above, players can easily and quickly access Paddy Power Casino using the web browsers. 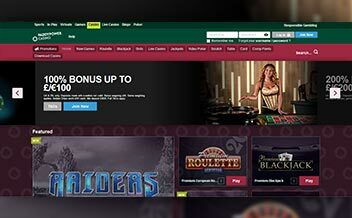 Paddy Power Casino has a very responsive website that can be accessed using different devices. 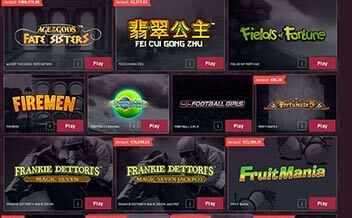 The website is easy to navigate and is well laid out to make it easy for players to find their favorite games. The is something inviting and exciting about the casinos green color that welcomes you every single time you visit Paddy Power’s website. 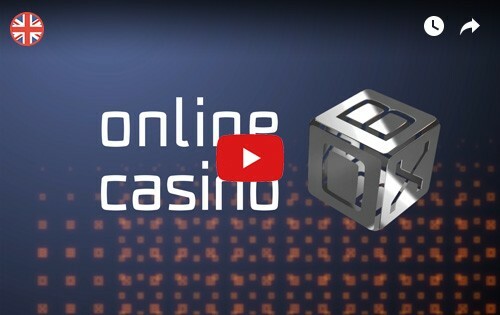 Allows users to play their favorite casino games on through their computers. Players can easily customize the desktop version. Offers better gaming experience and graphics compared to the mobile version. It does not include all the games that the web version has. It requires a bit of time to learn how the software works. Paddy Power’s mobile casino application lets players enjoy their favorite games anywhere, anytime. Provides special offers and promotions for mobile players. The mobile app is attractive and easy to use. It has the least number of casino games compared to both the desktop and web versions of the casino. Some casino games do not run smoothly on the app as they do on the web version. Paddy Power online casino values the privacy and security of its players. This is the reason why the casino uses an SSL encryption to protect player information and data from hackers and theft. The casino has also implemented the latest security measure to safeguard its users. The casino has a team of excellent and professional customer service agents that are always willing to go the extra mile to help players with their problems. They reply promptly and are very friendly. The casino also offers a live chat option. Customer service is available 24/7. Available for download, instant play, and mobile. English is the only supported language. Only 2 currencies are supported; Sterling Pound and Euro. Being one of the largest online casinos, Paddy Power has strived to provide its players with a large selection of game. Its security and customer support leaves much to be admired.